Winds of 10 Beaufort forced the "Aidabella" to alter course in the morning hours of Oct 13 off Stavanger. The captain adjusted the course to the weather conditions. The ship had sailed from Bergen on Oct 12 and got into an Atlantic depression. To reduce the strong movements of the vessel, the captain decided to turn the ship into the wind and steam ahead with slow speed until reaching the Skagerrak in the evening of Oct 14. 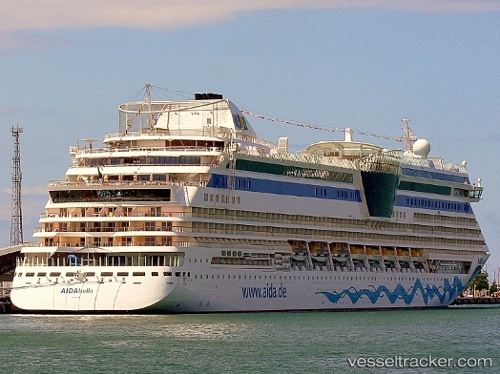 The planned arrival in Kiel at 8 a.m. could not be met, instead the ship arrived only at 2 p.m. The 2500 passengers thus had to change their travel plans. Also the start of embarking for the following cruise was delayed. Check in started at 4.30 p.m. at the Ostsee Quay in Kiel.